We thought New York's 325-square-foot apartment was small. Then, San Francisco came out with a ridiculously minuscule 160-square-foot apartment. 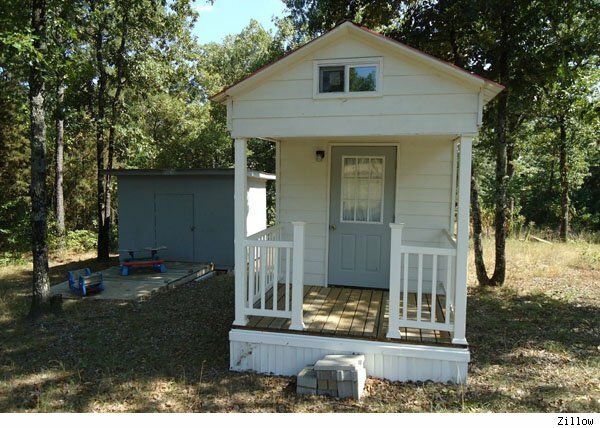 Now there's a 128-square-foot house for sale in Dover, Ark.? How low can you go, people? Despite its size, we'll admit that this tiny house perhaps boasts everything that you could possibly want in a home: A kitchen, stove, dining area, bathroom, a makeshift bedroom/attic space. The micro-home somehow achieves all of this without all the ultra-modern, custom modular furniture exhibited by its New York and San Francisco counterparts. "Perfect for a get-away home, a hunting cabin, or an in-between home," the listing reads. It's going for $22,900, which maybe is not so bad considering it sits atop an acre of land. Check it out for yourself in the gallery below. (And thanks to our pals at Curbed for the tip! ).